Elite Skills Coach Ryan Thomas! We're excited to provide this 3 day youth and middle school camp in Orlando, Florida that focuses on developing the complete player. You will develop shooting, ball handling, passing, footwork, defense, rebounding, athleticism, and other essential skills to become a great a basketball player. What will players get out of the camp? You will learn the techniques and skill needed to become a great shooter. You will learn the essential skills to becoming a great ball handler� no fluff. You will learn how to make more lay ups. You will learn how to become a defensive stopper and rebounding machine. You will learn the critical components of basketball IQ required to become a great offensive player from an individual and team aspect. We will teach you all of the critical skills and concepts that coaches love and help players excel. Stationary ball handling routine that improve rhythm, feel, and coordination with the basketball. Dribbles move to help you blow by the defense at will. Critical progressions to ensure that your dribble moves are effective and explosive. How to position your feet and align your body to increase the chance of shooting the ball straight. A form shooting routine that almost every great shooter has utilized that can be done at home. Proper footwork and how to develop a quick release. How to shoot game shots from game spots at game speeds. Finishing techniques used to reduce turnovers and make more shots. 1 on 1 finishing drills that ingrain good habits while competing in a fun way. How to cut and get open. You will learn v-cuts, basket cuts, l-cuts, backdoor cuts, and more. How to attack down screens, back screens, and more. How to improve quickness and play better on-ball defense. How to improve speed with hip-turns, push step, and better movement fundamentals. 5 fundamental keys to effective close-outs. How position away from the ball and be a great team defensive player. How to effectively box out your man every time. How to use your feet to gain a better position to score from almost anywhere on the floor. How to utilize front pivots, reverse pivots, step throughs, sweeps, drop steps, and hops to make you an elite player. Improve hand eye-coordination and passing skills with the Steve Nash passing series. Competitive passing drills to develop game-like passing with head and pass fakes. Players will also get to take the skills they practiced and apply them in a game setting. This is fun and intense. The games are set up, so the players have to give maximum effort and execute proper fundamentals. Players earn points for proper play and are deducted points for poor effort and execution. This camp is for boys & girls 4th-9th grades, ages/skill levels will be separated. 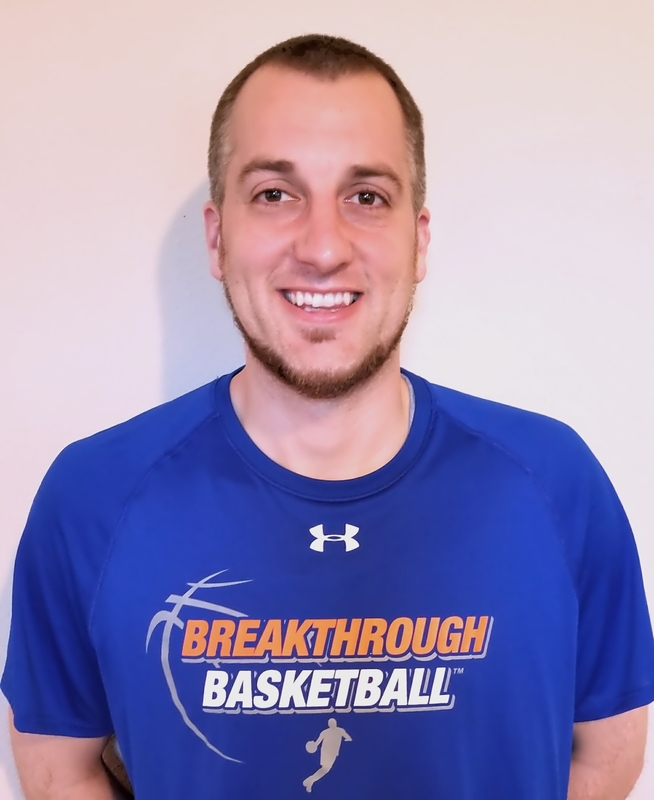 After a strong high school basketball career, Ryan earned a scholarship to play college basketball at Concordia University where he played for 2 years before transferring to finish his college basketball career at Central Michigan University. The camp is for boys and girls from 4th grade to 9th grade. Camp attendees can get a 10-15% discount by using this link and booking any hotel owned by the Wyndham Hotel Group (Days Inn, Ramada, Baymont, Microtel, Super 8, Howard Johnson, Traveloge, Knights Inn and Wingate). 1751 Rhode Island Woods Cir. Please do not change the values in the following 2 fields, they are just to stop spam bots. Leave them blank if they are currently blank. Coaches can attend for free by working the camp. Email us if you're interested in helping with the camp. Otherwise there is a $97 fee to attend as an "observing coach". You will get to learn new drills and techniques from Ryan Thomas, just like all the players and other coaches in attendance. Visit this link to reserve your spot as an observing coach. If you have any questions, don't hesitate to email us or request a phone call.